Plagiarism is taking someone else's work and claiming it as your own. Increased 55% in the last year. kaavya Viswanathan a sophomore at Harvard University, was kicked of campus for plagiarism after she made money off of it. 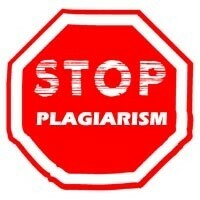 55% of the university's say they have seen plagiarism increase over the years an cause allot of cases in court. If caught you can destroy your career for the rest of your life. A 25 year old got caught faking his way into Harvard and got sentenced to 2.5 years and 10 years probation. Click here for more.